In Thanks – Tell my story. Folks, I’m spending a few days decompressing from the road trip to Pensacola. I have to take a few days off from research and writing about our guy because, frankly, I’m beat. It was a great trip, and I enjoyed it, but it was intense and compressed. I can’t get into a writing state of mind until I unwind a bit. But today, I want to thank the many people who went out of their way to show me around, to explore the places Emmett Wilson lived or worked (or attended church — on the rare occasion that he did), and in a few instances, to meet for the first time since we began corresponding about Emmett’s story over two years ago! First, to my intrepid colleague and dear friend Nancy, who has been corresponding with me about Emmett for over a year (we met in person for the first time last Sunday). I’m blessed, humbled, and honored to have made friends with this wonderful lady. She has a great sense of humor, and I value her playing Devil’s Advocate with me on Emmett’s story more than she knows. I truly appreciate Nancy. Jacki, myself, Nancy. History detective gals. To the incredible Jacki Wilson, archivist at the Pensacola Historical Society, many, many thanks. Not only is she a great source of West Florida history, she knows the best places to eat. I’m lucky to count her as a friend. To my wonderful hosts, Pam and Brett in Chipley, Emmett’s boyhood home. Pam and her family were gracious and hospitable; I felt right at ease and I was made to feel as if I were one of the family. Pam and Brett’s house is a museum itself; the house has been in the family for at least 100 years, and it is well loved. Emmett and his family were good friends of Pam and Brett’s ancestors; while I stayed there, I got the feeling that he had been there, too; probably also enjoying the hospitality in that house. 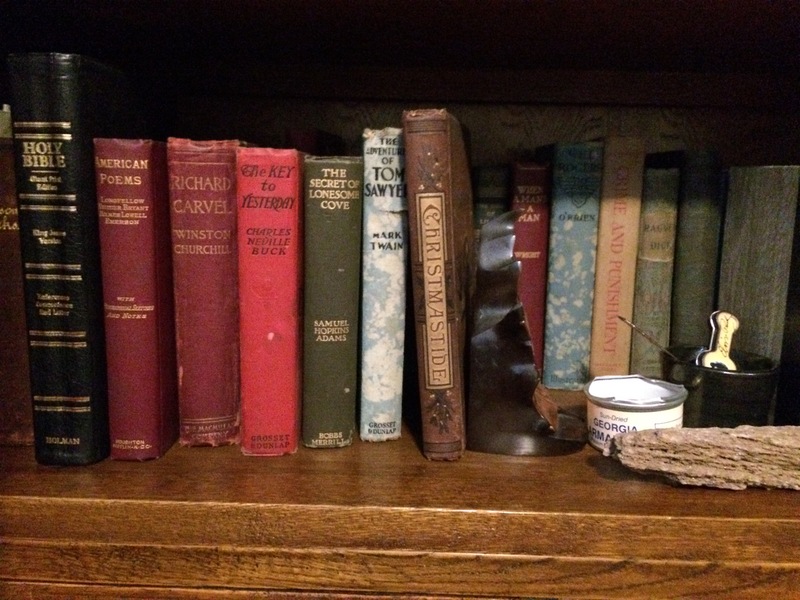 Pam and Brett have the most wonderful collection of antique books from Emmett’s time (and earlier). I’d like to also thank the county court archivists in Escambia, Santa Rosa, and Jackson Counties. 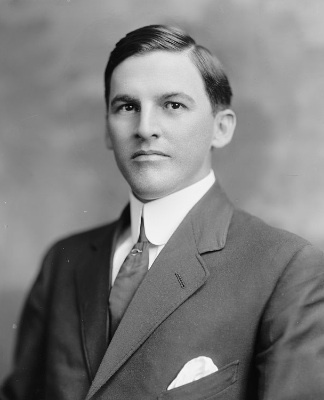 Special thanks goes out to Sue Tindel, archivist at the Jackson County Courthouse and local historian, who escorted me all over Marianna, and kindly located many sources of useful information about Emmett Wilson’s early years as a newly minted attorney. 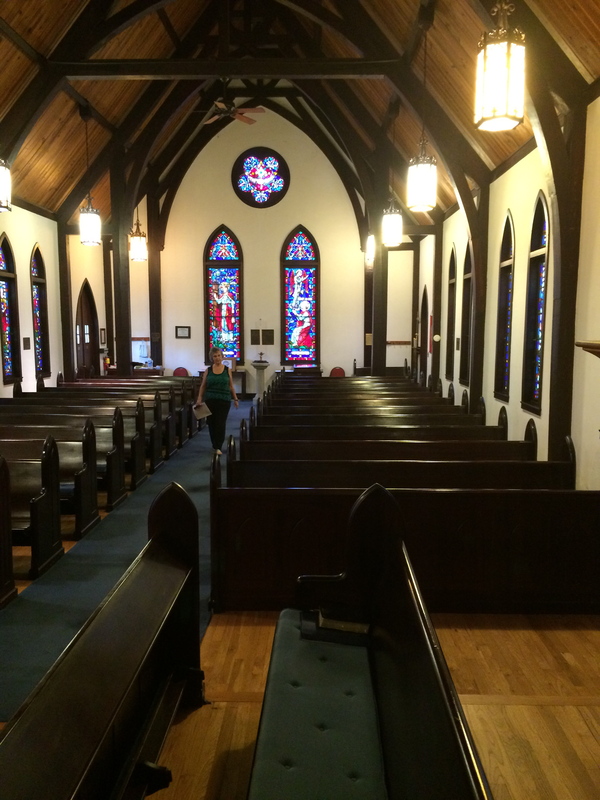 Sue exploring historic St. Luke’s Episcopal Church in Marianna. Cephas is buried in the cemetery behind the church. There’s also a brass plaque on the wall to the right acknowledging Cephas’ membership in the parish. I’d also like to give a special thank you to Dorothy Odom, the head archivist at the Washington County Historical Society in Chipley. This is a woman who will not allow any obstacle to deter her in a quest for facts and data. This is a woman who was willing (and suggested it herself) to break into a display case to gain access to books so that I might simply check to see if Emmett’s name was there! 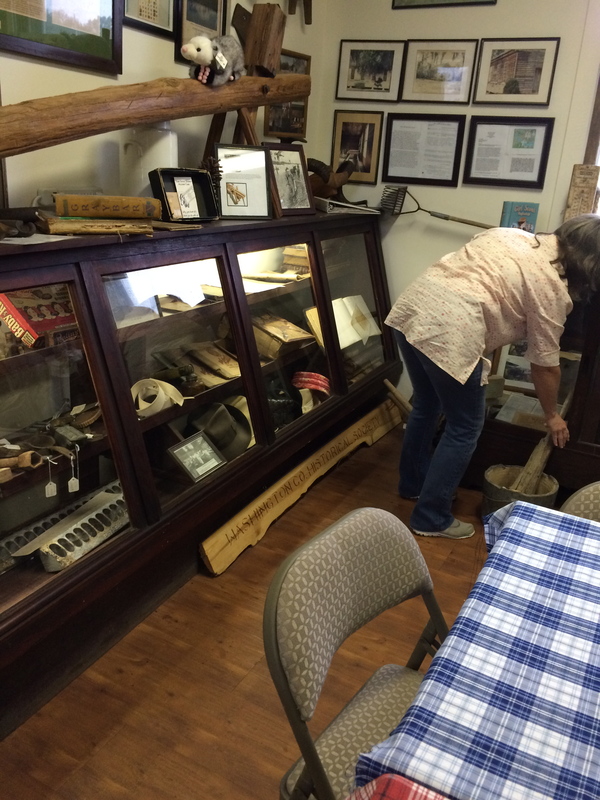 Dorothy moving artifacts in preparation to opening up a glass display case! I talked her out of it for the time being. It was too heavy, and there wasn’t enough time. But I got a rain check to do it on my next visit. Although we didn’t get into the glass case this time, Dorothy did hand me several large binders of receipts, promissory notes, deeds to look through — with surprising results! I’ll share what I found with you in an upcoming installment on the visit to Chipley. There’s a lot of other folks I’ll mention — and thank — for the help while I was digging around for information on Emmett in Florida last week. For now, I have to dive back into the 21st century and work-related administrivia. I’ll be back with more stories about the trip in a few days. Pingback: Remembering Nancy – Tell my story.